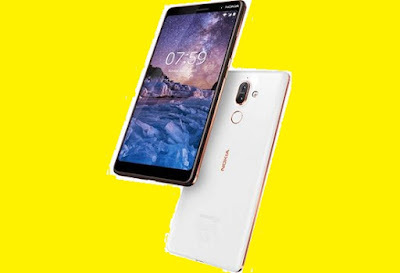 HMD Global will launch its new smartphone Nokia 5.1 Plus on 24th September, and on October 4, the company will launch the Nokia 7.1 Plus smartphone in London. HMD Global has launched several smartphones this year and currently the company is ready to launch its Nokia 5.1 Plus smartphone in India on September 24. However, the company has also sent the Media Invoit for another launch event which will be held in London on October 4. Long time the company is waiting for the launch of the next flagship Nokia 9, but according to the new roomer, the launch of this smartphone has been extended for next year to include some other improvised features in the device. According to the information so far, the Nokia 7.1 Plus will be a mid-range smartphone based on Android One. With leaked image of the device, the device may have nine displays as seen in the Nokia 6.1 Plus smartphone. Nokia 6.1 Plus is a thin frame of metal, metal frame and metal frame on the front and back of the device. Apart from this, 7.1 Plus can also have the same full HD + resolution display, which is Aspect ratio 19: 9. According to the report, Snapdragon 710 SoC, 6GB RAM and 128GB internal storage are available in the device. It has also been confirmed that there will be a dual camera setup on the back of the device, but there is no information on the branding of Carl Zeiss. Apart from this, the fingerprint sensor will be present just below the rear camera setup. There is not even any information about the price of this smartphone, but as it is said that it will be a mid-range smartphone, its price may be around Rs 25,000. However, no word has been confirmed yet, but many other roomers may come out sooner about the device.